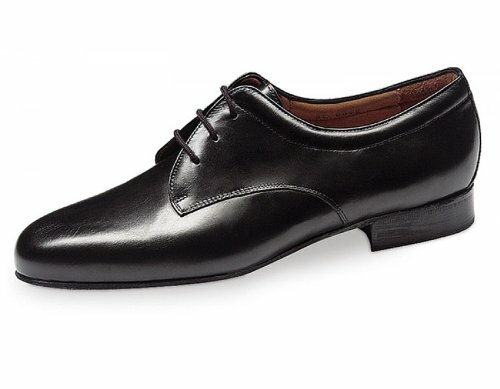 Absolutely comfortable Werner Kern classic men's dancing shoe with adjustable 3-hole lacing.á The entire heel area is surrounded by a super soft, leather-covered cushion and provides a secure fit in combination with the elegant lacing. The shoe is lined with soft glove-quality calfskin. Soft glove-quality calfskin patent leather or lamb nappa leather that provides a particularly gentle and supple fit.